From the cobblestone streets of Paris to the sandy beaches of southern California. . . The career of award winning Photographer, Designer, Author and Educator Elizabeth Etienne has led her around the world and back. After living many years in France as well as southern California her trademark style is visible in both her photography as well as her interior design work. 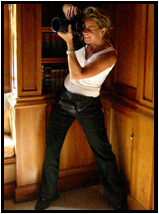 Her timeless photographic imagery can be found in advertising campaigns, stock agencies, fine art galleries, museums, magazines, blogs and high profile weddings & celebrity events around the globe. She has also applied her trademark retro- romantic style to her Interior Designs, now found in several short term vacation rental properties, each with its own unique theme. She has recently expanded her creative endeavors to include Vacation, Restaurant, & Hotel Design, Consulting & Management. Like many successful artists she is one of those people who CAN do it all while always maintaining her trademark style. Endorsed by Nikon, Kodak and celebrity event planner Colin Cowie, she is considered by many as a leader in her industry. As the daughter of a renown interior Designer, she admits she had a head start as an interior designer at an early age assisting her eccentric mother with her various design endeavors - from small residential homes to retail stores and commercial apartment buildings. She learned hands-on construction-design experience and the essential understanding that "ALL artistic realms should connect to each other". Art Direction, Interior Design, Graphic Design, Web Design, Branding, Marketing & Writing. * Art Direction: We can design and direct a blueprint for an entire marketing and advertising series or a simple promotional postcard mailer. We can manage everything from the ad concepts and design layouts to the photography and finished promotional materials. Every piece we design flows within the parameters of your overall brand style. This is an imperative and integral part of presenting your product, service or business in a way that not only spotlights you as a master of your craft, infuses instant credibility but it also makes it easier for buyers to understand what you do, how you work, and what you charge. * Web Design: We offer the NEW HTML5 websites that look and function the same on ALL DEVICES, ALL COMPUTERS and ALL BROWSERS ALL THE TIME! Our website templates enable ANYONE to make IMAGE & TEXT REVISIONS ANYWHERE, ANYTIME, ANYPLACE! (Even from you cell phone... if you have an Internet connection)! This means you don't need to call us for a simple change to your site. It's almost as easy as uploading an image and changing text to your Facebook page. These websites can include complete E-commerce shopping carts, blogs, image galleries, class registration forms and links to all your social media platforms! These websites are the wave of the future! Search engines love them because they are more easily found and your customers will love them because the navigation is clean, simple, fast and slick in presentation. The basic set up fee is a fraction of the old flash based/e-commerce shopping carts of the past and they even include a simple users manual so even your grandmother could update your website! * Graphic Design: From simple business cards, price tags, menus and printed store signs to postcard mailers, brochures, mini magazines and books! We can write and design it all while maintaining your trademark brand! * Public Relations: In less than a 12-month period Elizabeth Etienne was able to o secure 3 book- publishing deals, 2 corporate sponsorships, speaking engagements and numerous press articles! She can confidently say she mastered the art to public relations and now she offers these services to you as well. * Branding & Image Consulting: We can review and analyze your existing business presentation or create one from scratch - from your business cards, website, presentation books and marketing materials to the interior and exterior design of your business location, office or even your storefront window! We help create the right look, and the right ambiance to attract the right clientele. This is done through the effective use of the right lighting, the right colors, the right fabrics and the right furnishings. Our objective is to give YOUR business or service a specific branded look, feel and functionality that positions you a step ahead of any competitors in your field. * Professional Writing: After writing and publishing books (from a distribution contract through Random House), numerous magazine articles and press releases, biographies and electronic press kits for her own company and others, Elizabeth Etienne knows how to articulate thoughts and concepts in a condensed, enlightening and entertaining way. From a simple rewriting of your Web Site biography, service package descriptions or your company mission statement to a detailed investor’s business plan or a complete manuscript…we can do it all. * Marketing Services: Implementing creative ways to promote your services through your Blog, Website, Twitter, Facebook, linked in and other social media platforms is imperative to the success of any business to maximize your exposure, sales and revenue! Let us build your platform from scratch or revise or service your existing one. 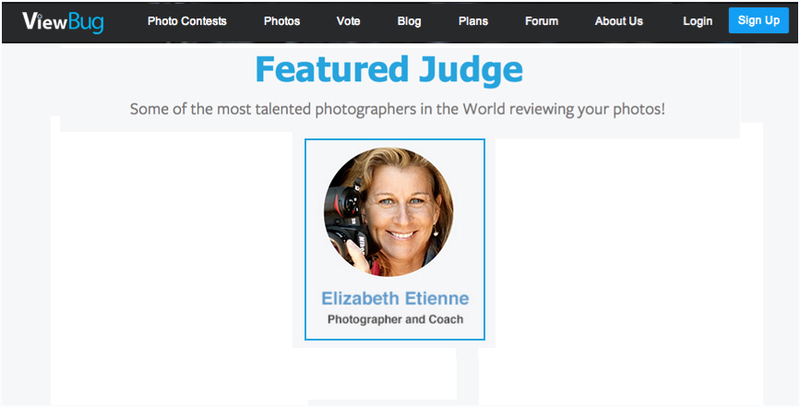 More About Elizabeth Etienne…………… She is a graduate of the prestigious Brooks Institute of Photography, and the author of several books - including a 200-image fine art book titled, The Art Of The Engagement Photography. Her work is on permanent display at The Museum of Modern Photography, Brooks Institute Gallery and Kodak's Pro Tips. 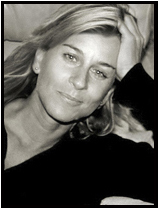 Elizabeth Etienne is bilingual (French-English) and caters to an elite clientele around the globe. While she is based in Los Angeles, she and her team are prepared to travel anywhere, anytime. The combination of her exquisite imagery and exclusive service has given her name nothing less than a 5-star rating and she has dozens of testimonials to prove it. Elizabeth's work has been described as timeless, soulful and a nostalgic reflection of who she is and her reaction to the world around her, "I'm really a people person and I think my work is my life's journal of the beautiful imperfect things I see around me - My childhood growing up in a small town in the Midwest chasing fireflies at night and skipping rocks across Lake Michigan; my mother who had exquisite, but unpretentious taste in just about everything and my father who was warm, playful and funny". About Your Privacy & Security: For the added security and privacy of our celebrities and high profile clientele, we are prepared to sign all non-disclosure agreements or revise our contracts for your discretion. As an added precaution, NDA agreements have already been signed by all of Elizabeth Etienne’s assistants, photographic labs and album manufacturers guaranteeing your images will never appear someplace they aren't supposed to. Your security, privacy and protection are our UTMOST concern. About The Team at Elizabeth Etienne Photography & Design: From her production director and photography assistants to her retouching master, packaging specialist, album designer and even her A-list celebrity hair and make-up stylist - each team member has been exclusively, hand-selected for their abilities to replicate not only the Elizabeth Etienne style, but also her quest for absolute excellence in every aspect of her service, presentation and products. "My clients needs come FIRST and foremost," she boasts. Prior to photographing someone she always discusses what that person likes and doesn't like about their features - what to emphasize and what to conceal to create "star" quality imagery. " Making my clients look beautiful is my primary concern" she stresses. Elizabeth Etienne has a reputation for going far beyond the call of duty to please her clients. "I get a thrill out of "Wow-ing" my clients with a surprise gift or extra service without charging them. This might include hand delivering an album book or scouting a location several times to make sure everything is in order." While Elizabeth Etienne remains the PRIMARY photographer, her second shooter photographers are responsible for capturing “supplementary” images during weddings and events. They are all graduates of Elizabeth's intensive internship program, have been exclusively trained and have had extensive experience shooting events in the filed. About Our Images: Only “Professional” grade digital cards and film are used guaranteeing the quality of every image! For added security all images are backed up onto several hard drives and every precaution is taken to safe guard their protection. During the post- production process each image file is scrutinized in our custom packages. Our master retouching team color corrects, compositionally adjusts and gently applies special skin enhancing filters for the utmost natural appearance. About Our Preparation And Planning: Each location is scouted and reviewed prior to the shoot day. Photography regulations are clarified with the location’s manager; the event coordinator and the client to insure the best areas are chosen for the best images within the location's shoot parameters. In order to capture the maximum amount of spectacular images in the most condensed amount of time in an entertaining, unobtrusive manner careful planning must take precedence. A special "Photography" timeline and image shot list is created as well as a disaster plan B for rain, fires, flooding or other weather or location issues. About Our Custom Album Books: Our books are quickly gaining us great recognition. Unlike those traditional, heavy albums with thick pages and cookie-cutter, drag-n-drop design templates offered by other photographers, our hard-bound, 12”x12” books (w/wrap around cover image) are similar to art style books you might find in a retail bookstore. Every page design is unique and we guarantee no one will have a book that looks like yours! Our books use a gorgeous 110 lb. pro matte paper and are simply stunning. Book topics: We can create single subject-oriented books or ONE all-inclusive book such as an engagement/rehearsal dinner/wedding book. Perhaps you might want a “Family” book that includes pregnancy, infant, individual and family portraits with maybe a family tree, old family images and stories). It’s totally up to you. Much will depend on the number of pages and quantity and size of the images. Take a peek at a few of the samples we've created. See more listed under the DESIGN link in the menu bar above. * October 2011: Junebug Weddings: Spotlight interview. * June 2011: “The Art of Engagement Photography” book (Amphoto Books) by Elizabeth Etienne goes on sale in bookstores, amazon and itunes. POD CAST INTERVIEW w/Paul Worthington. * April, 2011: “Profitable Wedding Photography” book (Allworth Press) by Elizabeth Etienne goes on sale in bookstores, amazon and itunes. Forward by Celebrity Event Producer, TV personality Colin Cowie. 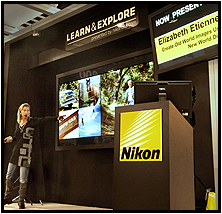 * May, 2011: We Are Photographers.com: article: "Stylized Engagement Sessions"
* Feb 2011: Nikon endorses Elizabeth Etienne and asks her to be a prominent guest speaker at WPPI Nikon booth featuring 50 of her images in a digital slideshow display show. * Aug, 2010: Grace Ormond’s Weddings Style Magazine features Elizabeth Etienne Photography in their featured gallery list. * Aug, 2010: Photbiz.com: releases new template called "Paris" featuring Elizabeth Etienne’s images. * July, 2010: Brooks Institute Of Photography Museum Gallery: accepts one of Elizabeth’s images for permanent display in Museum Gallery. 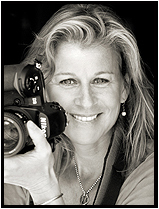 * July, 2010: Nikon accepts Elizabeth Etienne as an official NPS (Nikon Pro Services)member. * March, 2010: Signed publishing contracts with Allworth Press Publishers for dual books deal: "Profitable Wedding Photography," and "Create A Successful Photography Business"
* Jan, 2010: Signed publishing contract with Random House Publishers for book titled: "The Art Of The Engagement Session". * July, 2009: Kodak features second article on Elizabeth Etienne, "A Style Of Her Own"
* 2000: Brideworld magazine: featured story: Love Letters. When she's not shooting, designing, writing, coaching, or guest speaking..... Elizabeth Etienne can be found scavenger hunting for another vintage camera to add to her collection, meandering the hilltops of southern France or surfing the waves of her California beachfront home. This website displays only a SMALL SAMPLE of work created over the last 2 decades. If you're searching for something unique or perhaps a particular stock image please inquire as we have thousands of high quality, released images available for licensing at competitive rates. We also have a collection of Limited Edition Fine Art Prints available. PLease contact us for more information.